Since Windows 10 was released almost a year ago, Jon Cavell of Warragul Computer Repair has worked on hundreds of systems running or upgrading to Microsoft’s new operating system. His verdict? It’s a winner, but there are some things users can do to get the most out of 10. Embrace the new. Accept that some older apps (usually 10 years or older) no longer work with modern software, and investigate upgrades or newer alternatives. Software has come a long way in the last 10 years, and an upgrade will most likely have far more features and work better than what you currently use. A PC less than 5 or 6 years old with solid state drive will run Windows 10 best. A good internet connection is essential. Windows 10 uses automated updates to maintain itself, which is great but requires a good connection. Embrace the Windows Store when looking for software. Installing from Microsoft’s server helps keep malware at bay. Use compatible antivirus software. Not all antivirus packages are compatible with Windows 10; ask your computer repair specialist which ones to use. Microsoft’s new browser is cutting Edge. Internet Explorer’s replacement, Edge, is faster and more secure that its predecessor and has some handy 10-exclusive features and lower battery consumption. Don’t try to control 10, let it be itself. Many old maintenance procedures, including defragging, optimisation, and manual patching, are now things of the past. Use Windows’ default programs, especially Edge. I’m not saying don’t use other web browsers or programs, but meddling with Windows’ natural state can have less predictable results than you want. Get your “out of the box” experienced personalised. 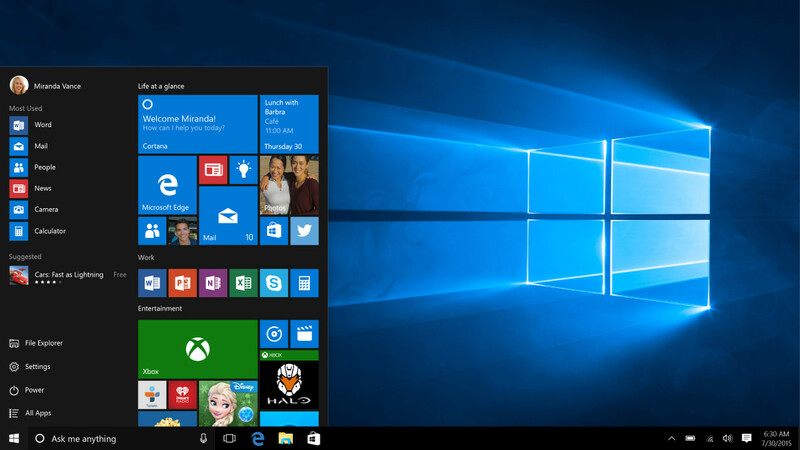 The new Windows Start Menu and taskbar are VERY customizable. You can add, remove and resize tiles, pin documents, and add shortcuts to key folders and even websites. Get the magic drive. If you don’t already have one, an inexpensive SSD will make your computer at least 2-3 times quicker, more reliable, and last longer. Your Windows 10 installation will love you for it. More free tips, IT news and security alerts, free online training, and cheat sheets can be found at warragulcomputerrepair.com.au.